About: This is a 1.5 hour crash course in the art of mushing and is open to those ages 12+. 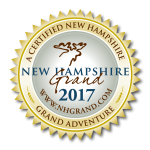 This tour is geared towards guests who really want to get into the nuts and bolts of modern dog sledding. 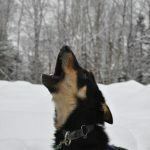 Guests will spend 30 minutes covering all the details of what it takes to prepare the sled dogs and sled for the trail. Guests will then hit the trail using a double driver sled (which is kind of like the dog sledding version of a driver’s ed car) for approximately 5 miles/50 minutes (ride time may vary based on: the weights of the participants, trail conditions and the doggies pulling the sled). During this time guests will learn their Gees and Haws and practice the #1 rule of dog sledding, NEVER LET GO, with the assistance of a musher for guest and dog safety of course! As always, the mushers try to leave some time at the end for guests to share treats with the sled dogs, get photos and give belly rubs. This tour departs most Tuesdays – Sundays starting January 4th and goes until March 17th (trail conditions permitting). There are a few holiday and vacation week exceptions. $400 per sled which will accommodate a maximum of 2 guests/340lbs. There is an additional $50 up-charge when reserved during peak times (holidays and vacation weeks). Please Note: We have 1 double driver sled and are therefore only able to accommodate a maximum of 2 guests per time-slot for this adventure. Also please note that while we are typically able to use the toboggan-style sleds from the end of December until mid-March, we may use a rolling dog sled to conduct your tour if required by the trail conditions. Refunds ARE NOT issued in the event that trail conditions require use of a rolling dog sled.